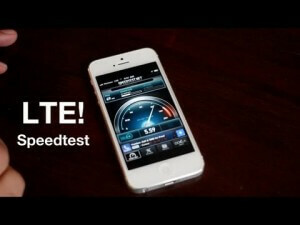 I was one of the early adopters of iPhone 5, got it through pre-order on day 1. I badly wanted to get back to ios after some difficult time with Galaxy S2 on ATT (Part of it was battery drain in the Samsung ATT custom build of Android). It has been a smooth ride with iPhone 5, some new after features and a better camera etc. But once in a while my mails would stop arriving, I have 2 exchange and Gmail configured. When I’m out with my family, I will suddenly realize that I’m not receiving mails anymore. On closer look iPhone would have lost the data connection, and it wouldn’t pick up LTE, till I restart the phone. (Restart & Apple no way right 🙂 ). On the other hand none with Galaxy S3 had the same issues, and once few other of my colleagues got the new iPhone 5 did we find that it common to all iPhones, Local ATT suggested switching off LTE. The phone is now doing fine on 4G, but with LTE the device couldnt stay connected. So anyone else from other cities facing the same problem?? 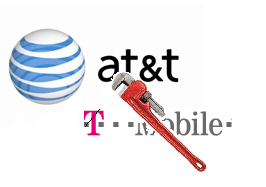 United States Department of Justice moved to block the proposed ATT – TMobile USA merger, by filing a Antitrust suit. If completed the sale would have ensured there was only one GSM carrier left in US and virtually monopoly in GSM space and Duopoly in the Mobile Market (along with Verizon CDMA operator). With already lower number of operators in the country, any move to further consolidate Mobile space would lead to higher prices and poor quality of Service. Currently ATT is No 2 operator behind Verizon and T-Mobile is No 4 behind Sprint. Many MNVO s (mobile virtual network operator) along with Sprint had raised their concerns on the impact the Sale would have on them. ATT could have potentially killed MNVO’s with its new position and Sprint couldn’t have effectively competed against bigger rivals in ATT and Verizon. FCC Chairman Julius Genachowski also commented that the Merger does raise several questions and shared similar views to that of DOJ. Google added Fragment API support for older devices with a Static library. This should help developers massively when developing the applications targeted at devices with various form factors, screen sizes and input controls. With Android becoming a huge success and primary OS for hardware manufacturers like Samsung , Motorola and HTC. 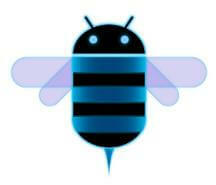 The tool is seen as good move to counter the fragmentation criticism in the Android ecosystem.